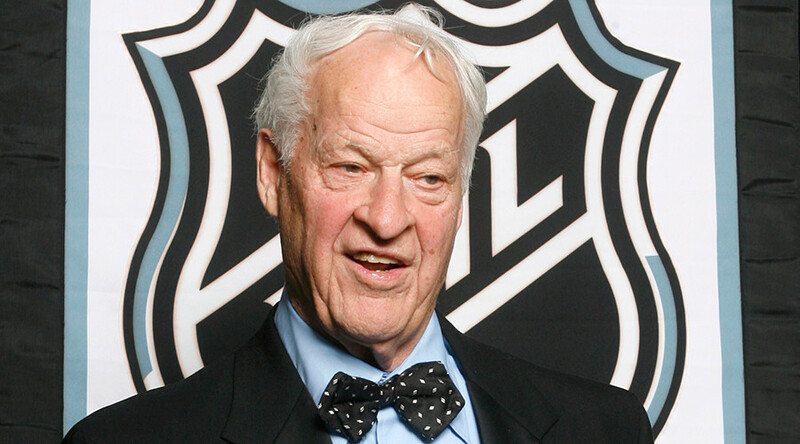 Canadian ice hockey legend Gordie Howe passed away on Friday morning in Ohio. Howe, who played more than 1,700 games in the NHL and scored more than 800 goals, was widely known as "Mr. Hockey." The Detroit Red Wings confirmed the news of Howe’s passing on their Twitter account. Howe won the Stanley Cup four times with the Detroit Red Wings and claimed six Hart Trophies as the NHL's most valuable player in a career that spanned more than 30 seasons. Howe’s list of career achievements includes: the most NHL regular season games played (1,767), the most NHL regular season games played with a single team (1,687), the most NHL seasons played (26 - tied with Chris Chelios), the most consecutive NHL 20-goal seasons (22, 1949–1971), the first player to reach NHL 1,500 games played, the oldest player to play in the NHL (52 years, 11 days - no other player has played past the age of 48), and the most NHL All-Star Game appearances (23). Gordie Howe suffered a serious stroke in October 2014, and later traveled to Mexico for stem cell treatment. Canadian Prime Minister Justin Trudeau also expressed his condolences to Howe’s family via his Twitter account. My condolences to the family of Gordie Howe, the Detroit Red Wings and all his fans around the world. He will always be Mr. Hockey.